The town of Maryinka in Donetsk region came under militant fire on Thursday, resulting in one injury and a partial blackout, according to the media liaison office of Donetsk region's police. A woman, 1961, was wounded in her shin at around 11:30 local time in the morning amid shelling of Maryinka by Russian-backed militants, it said. Read alsoOccupiers shelling Maryinka, houses on fire – police chiefAs a result of the attack, a power line was broken, leaving 15 homes without electricity. 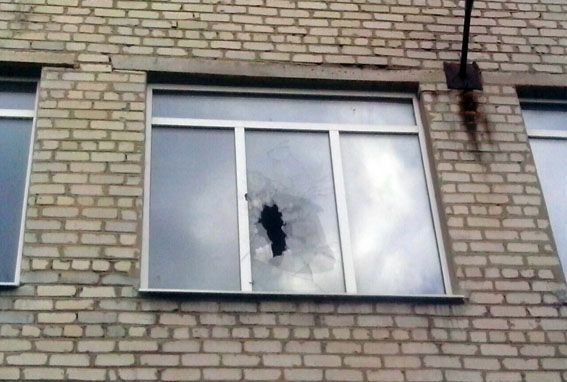 As UNIAN reported earlier, the Russian occupiers in Donbas mounted an attack on Maryinka on Thursday morning: a shell hit a private house, and bombs exploded very close to a school building. Classes were suspended at both schools in the town.